2017 Crestliner 1950 Fish Hawk SC The 1950 Fish Hawk is a deep-v aluminum boat built with the angler in mind. Sporting innovative fishing features from bow to stern, this true multi-species boat provides superior fishing performance. Starting at the bow, fishermen will appreciate the expansive casting deck, 11-gallon port livewell and tons of storage. Moving back, there’s a roomy cockpit, a 17-gallon aerated stern livewell and plenty of rod storage. With all these features, it’s no wonder that every place you fish will become your new favorite spot. Please note: This boat model may or may not be in-stock. A Nationally Advertised Price, if listed, may change without notice or include accessories not fully described herein. Please contact your local, authorized dealer for exact details on model availability and package pricing. 2017 Crestliner 1950 Fish Hawk SC The 1950 Fish Hawk is a deep-v aluminum boat built with the angler in mind. 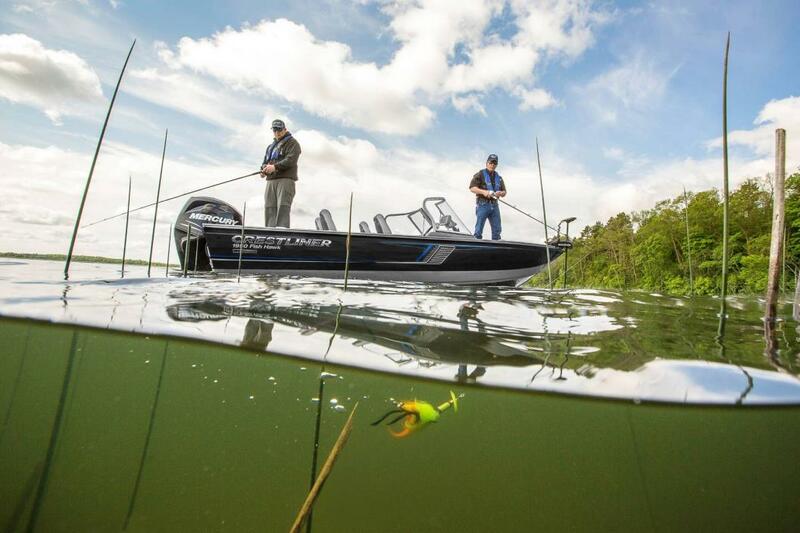 Sporting innovative fishing features from bow to stern, this true multi-species boat provides superior fishing performance. Starting at the bow, fishermen will appreciate the expansive casting deck, 11-gallon port livewell and tons of storage. Moving back, theres a roomy cockpit, a 17-gallon aerated stern livewell and plenty of rod storage. With all these features, its no wonder that every place you fish will become your new favorite spot. THIS ORDER OUT BOAT PACKAGE INCLUDES: 2017 CRESTLINER 1950 FISHHAWK SC, MERCURY 150XL 4STK MOTOR, (UPGRADE AVAILABLE) 2017 SHORELANDR CRV40TBLW BUNK TRAILER Please note: This boat model may or may not be in-stock. A Nationally Advertised Price, if listed, may change without notice or include accessories not fully described herein. Please contact your local, authorized dealer for exact details on model availability and package pricing. 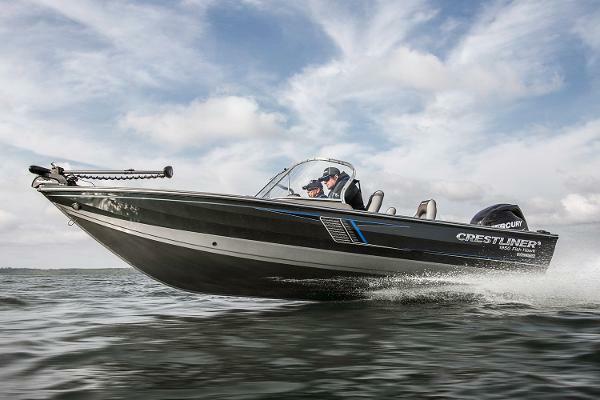 2016 Crestliner 1950 Fish Hawk SC Few boats have seen as many trophy catches as Crestliner’s legendary Fish Hawk. A true multi-species boat from bow to stern, every feature was designed with the angler in mind, so you can focus more on reeling ‘em in. Get superior fish-catching performance with roomy livewells and an expansive casting platform. 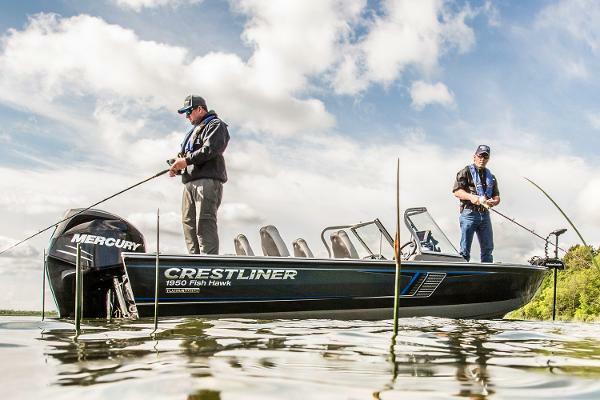 Own every catch and adventure with North America’s favorite Crestliner family – the Fish Hawk. Please note: This boat model may or may not be in-stock. A Nationally Advertised Price, if listed, may change without notice or include accessories not fully described herein. Please contact your local, authorized dealer for exact details on model availability and package pricing.